Very informative and enlightening audiobook. Pdf would be helpful as there were numerous references to diagrams and transcripts. 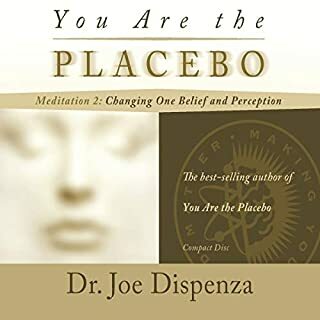 Unfortunately the audiobook does not include the guided meditations which are the heart of the program. If they were included i would give this book a 5 star rating. This book should have contained at least one meditation. To get through the book to finally be told here are the meditations but before you can do them you must go to my website and pay for them. I'm sorry but this really makes. Me feel like it is a book playing on the very vulnerable in society who are looking to heal their lives. What aspect of Adam Boyce’s performance might you have changed? The book does become rather monotonous and I found myself cutting off several times. Just please be aware that this book has a lot of reference to pictures that as we are audible listeners we don't get. It also doesn't include any meditations either to get these you must use another credit or pay for an audio cd. Quite worrying to have got through the book to then be told to further your meditation you must go to a website and buy them. I feel so sad that this has happened and it totally ruined my enjoyment as I feel this is should be very clear from the beginning. I made my way through the dull parts with my positive mind eager to try this miracle meditation. I'm very unhappy and the whole positive message on the book has been lost for me. I guess I'm just being stupid to think that money is not the under lying thing for these people. 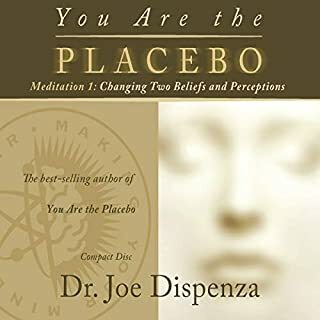 This book would have been brilliant if as an audible listening you got free access to at least one meditation as we obviously are missing the pictures to miss out on both leaves this book very high on my list of disappointments. This guy’s books are just a cover to sell his seminars, meditations and other tools. He talks on and on about his seminars and how people attending them see huge improvements,-for the large portion of his books. You don’t need to spend any money or buy any tools to be able to mediate and materialize what you want. People have been doing it for centuries. You just need to believe it’s possible for you. So many words for so little. I understand that it's simple, so keep it simple. The idea of the book is strong. The beginning as well, but after a while, he is telling more of the same. The chapter about quantum mechanics is painful to read for me as a PhD in it. It's mostly not even wrong, he is making sentences from words that do not even make sense. Thank you Dr Joe for showing us how to be in the present moment while leaving our past where it belongs, in the past. 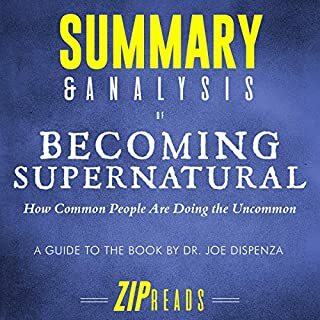 This book shows you how to get rid of those invisible shackles that keep us enslaved so that we are free to embrace each and every moment with pure joy, living life as it was meant to be lived in a state of grace. Dr Joe is explaining the science of what used to be mystical. He makes you believe that you can truly achieve any desired results. Recommend to anyone who feels there must something more out there. Since putting the principles laid out in this amazing book in to my own life I have been experienced tremendous release from crippling anxiety. Although not totally free (at this stage) I can see light at the end of the tunnel. Honestly, this teaching is better than antidepressants. They just left me feeling like a zombie with no emotions. I can't believe how good I am feeling. The mind is so powerful. 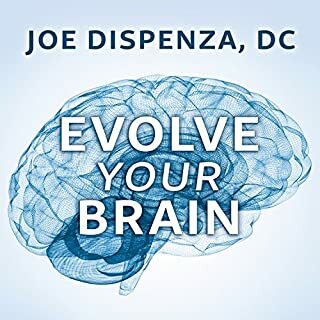 Read this book and learn about the power of your thoughts and brain. Not as good as Breaking The Habit, but fascinating nonetheless. Wow. I have this power in my head? Very very interesting claims and information. The illustrating stories are very effective in aiding the information in the book. I found the science of the brain very interesting. I do not have a science/anatomy/physiology background so I have no idea if the authors claims are correct scientifically. But he sure is convincing and if his claims are correct, then the future will be a very exciting place to be, to see what ways we can influence our genetics and current states. I found the first 12 or 13 chapters very interesting but the end of the book was a little slower. You'll want to download the PDF that comes with this book. I love how this is written and that there's science to back it up! This already has changed how I perceive my world. 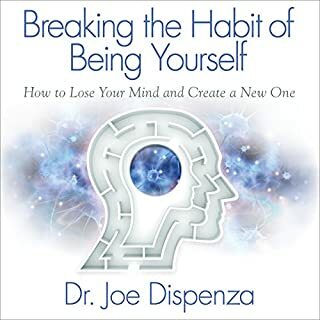 Joe dispenza has changed my life. Like winning lotto. We only ever hear about the success stories. How many millions have tried this to no avail. It requires a certain mindset. Never before has a book helped me to fully believe that healing, by belief alone is entirely possible. Loved every minute of this book. 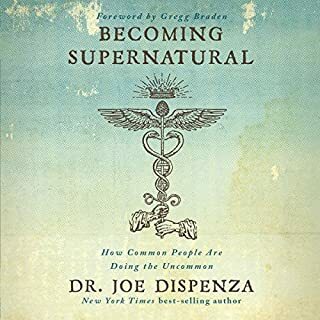 My favourite Dr Joe book! highly recommend, great words easy listening. 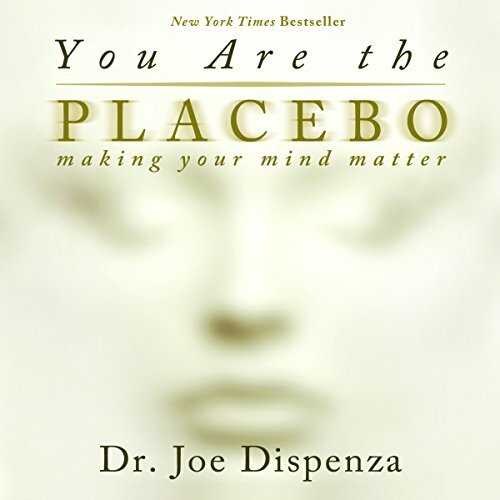 Enjoyed this audiobook very much, found it helpful, calming and it all makes sense. whilst reminding you to simplify your thought pattern and remain in the moment. I increased the speed by 40% just to stay focussed as I found the original speed too slow and monotonous. Also constant references to charts I can't see anywhere made it very ftustrating.